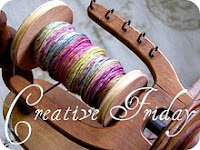 I did mention on Wednesday that I will share my craft project with my agenda with you today. Since I restarted as an advisor and distributor of these amazing crafty Gonis products I needed to refurbish my agenda (Filofax), so I hauled it out of it's storage in the attic and started to get it back into order, and boy did I have fun doing it! It isn't finished, not by a long shot, but I am on a good path to getting there. I love being able to put my own mark on the agenda making it unique and personal. I want to share how I made this folder to hold little odds and ends. You will need an A4 piece of card, a saucer (or something to create the round shape), a pencil, ruler, glue, universal paint (I am using GoniDecor). Fold in half to get an A5 double sheet. Place glue along the edge (where the red lines are) and fold the pages back together and press together. 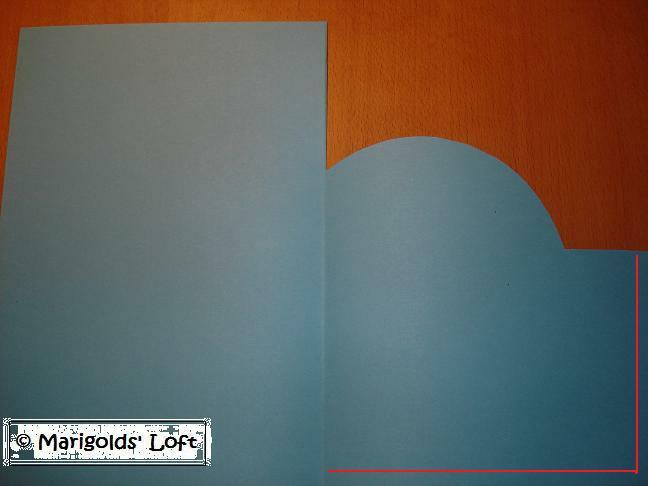 Punch holes into the straight edge of the folded booklet. Decorate the page with paints.